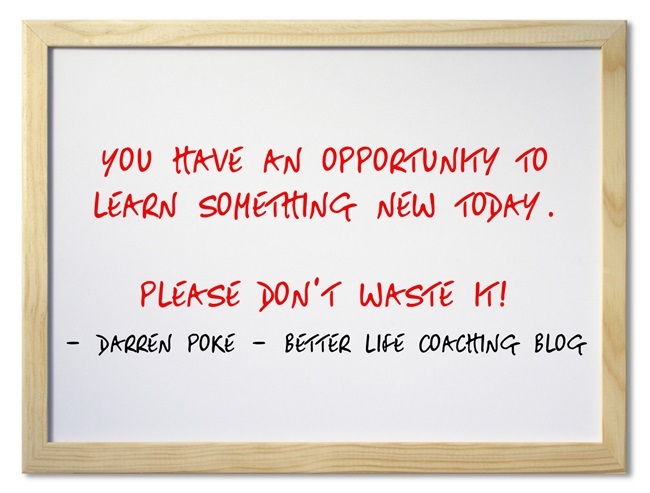 You have an opportunity to learn something new today. Something about how to perform better at work. Something about what the future can look like. Something about what you should (or shouldn’t) be doing with your life. Something about how to be a better parent/partner/spouse/sibling. Something about the people around you. Something about the character of God. It may come from a book that you’re reading, a conversation with someone wise or from trying something new. It doesn’t matter what it is, just don’t go through today, or any day, without learning something new. If you can do that for your entire life, the future looks bright. Previous post – What Does Fear Really Prevent? Thank You this great Monday Motivation! « What Does Fear Really Prevent?